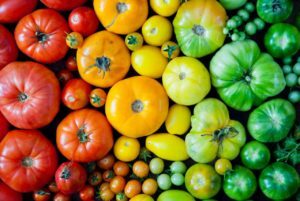 Growing your own vegetables has seen a resurgence during the last few years as people rediscover the health benefits and great taste of garden fresh vegetables. All vegetables require all day full sun for best results. New varieties of space saving dwarf and compact plants are being introduced every year, which are perfect for vegetable container gardens for your patio, balcony or deck. Nothing tastes better or healthier for you than fresh from the garden vegetables. Kids have a natural fascination with how plants grow. If you have kids, let them create their own vegetable garden. Encourage them to grow vegetables they have never tried as well as some of their favorites by letting them choose their own seeds or plants. Herbs encompass a wide variety of plants which are used in cooking, medicinal purposes or even for perfumes. Most home gardeners use fresh from the garden herbs for cooking. All require full all day sun in the garden. 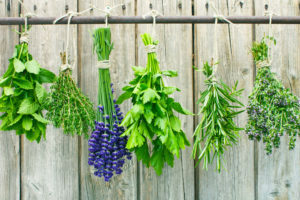 Some herbs are annuals meaning they must be planted each year and others are perennials that come back year-after-year. Growing your own herbs has never been more popular. Nothing tastes better than herbs harvested from fresh your garden. Growing herbs is super easy as most are insect and disease free. Many herbs such as parsley, rosemary and sage are perfect mixed planted with sun loving annuals in container gardens. Place these containers on your patio, deck or at your front door and you will have planters that are both beautiful and functional. Keep in mind that all herbs need all day sun which is eight or more hours of direct sun.